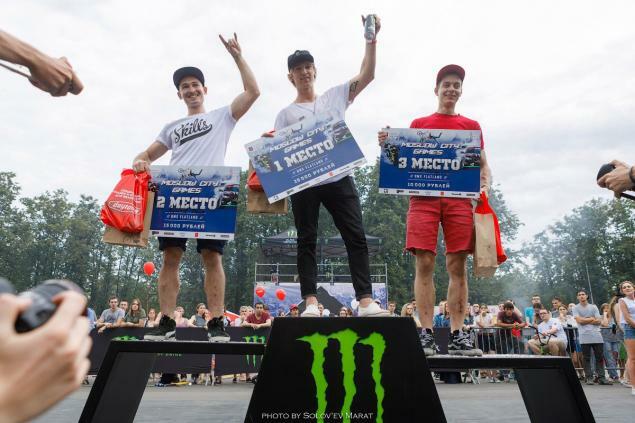 The annual Moscow City Games have had an international flatland contest this year. Adam came all the way from Hungary and took the first place. Congratulations! In case you are wondering why Adam's name doesn't show up on the result lists lately - he has to learn some new tricks at the moment as a dad. Best of luck with those new tricks! The second place went to Niyaz Zaripov who kindly shared the podium photo and results with us. Congratulations!